JD Grewell & Associates, Inc.
Our goal is to connect people with the best local experts. We scored home inspectors on more than 25 variables across five categories, and analysed the results to give you a hand-picked list of the best home inspectors in Washington DC. Advantek Home Inspections LLC is a D.C. home inspection business headquartered in Sterling. The team of insured, certified home inspectors specializes in performing infrared thermography and checking for mold. Advantek Home Inspections LLC is certified by the International Association of Certified Home Inspectors and is an officially designated Veteran-Owned Business. Fairfax-based Beltway Home Inspections LLC is an owner-operated business that inspects roofs, landscapes, building structures, electrical systems, heating and cooling systems, insulation, plumbing, fireplaces, and home appliances. All services are performed by a contractor with certifications from the American Society of Home Inspectors, the International Association of Certified Home Inspectors, and the National Radon Safety Board. Capital Inspection Services, a company in Woodbridge, performs inspections and reporting on behalf of home buyers in the Washington D.C. Metro area. Capital Inspection Services’ team of qualified inspectors is especially experienced in testing for and mitigating radon contamination. They also inspect swimming pools for any safety or health hazards, and for any malfunctioning components that might require a costly repair in the future. Capital Inspection Services belongs to the International Association of Certified Home Inspectors and has received the organization’s Radon Tester certification. Cover Your Assets Home Inspections was founded in Burke in 2013. 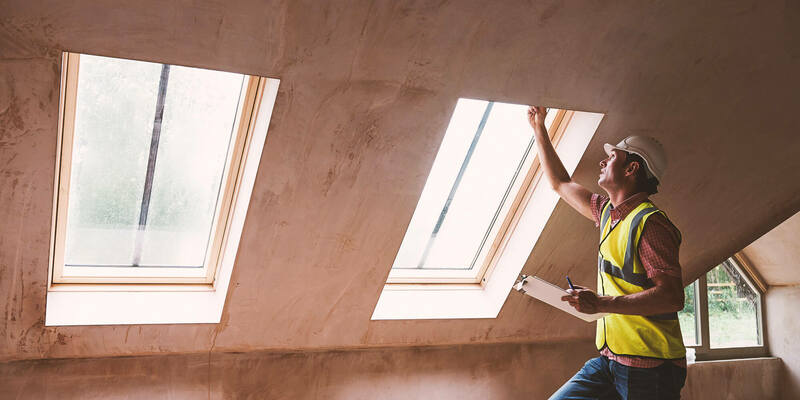 The company has performed home inspections for home buyers and sellers throughout the D.C. community, with particular attention paid to the roof, attic, foundation, and basement, as well as plumbing, electrical, and HVAC systems. The team is certified by the International Association of Certified Home Inspectors. Excel Home Inspections, a team of home inspectors based in Sterling, performs home inspections for buyers, sellers, and realtors throughout the D.C. Metro area. With all inspections, the staff provides a detailed report on every step of the review process, including photographs. Excel Home Inspections is certified by the Northern Virginia Chapter of the American Society of Home Inspectors (NOVA ASHI), and has received the Certified Radon Professionals designation from the National Radon Safety Board. Fairfax Home Inspections provides home inspection services to clients throughout Northern Virginia and the D.C. Metro area. At the conclusion of the assessment, the staff inspector will provide a detailed report complete with photographs. The team at Fairfax Home Inspections checks for termite damage, structural rot, energy waste, malfunctioning appliances, radon contamination, and other issues commonly affecting local properties. For a list of areas and components that Fairfax Home Inspections does not inspect, check the company’s website. Home Sweet Home Inspections LLC founded more than 30 years ago in Fairfax, performs property inspections in the D.C. Metro region. The company is certified by the American Society of Home Inspectors, accredited by the Northern Virginia Chapter of the American Society of Home Inspectors, and recognized by the National Radon Safety Board. Hubert Home Inspection, LLC, a business based in Centreville, inspects homes for moisture, material degradation, and any other issues that might pose safety or health risks. Working on behalf of buyers, sellers, or realtors, the team of licensed and insured consultants employed by Hubert Home Inspection, LLC are all certified by the American Society of Home Inspectors and the National Radon Proficiency Program. Intel Home Inspections comprises a small team of inspectors that specializes in radon testing. Additionally, staff experts can perform thermal imaging tests, pre-drywall tests, and home walkthrough inspections and they provide aerial photography to provide realtors a top-down view of the properties they are selling. Itte Associates, Inc., having served D.C. Metro clients for more than three decades, is a local property inspector that specializes in examining commercial properties and historic properties. All staff inspectors are licensed, insured members of the American Society of Home Inspectors. Furthermore, property inspection personnel have been trained in asbestos identification, lead hazard assessment, and lead removal. Itte Associates, Inc.’s staff can also provide consultation and technical assistance to contractors who are executing remodeling or construction projects. JD Grewell & Associates, Inc., located in Silver Spring but with its service area extending to include the entire D.C. Metro area, has provided property inspections since being founded in 1972. With accreditation from the Better Business Bureau, a certification from the American Society of Home Inspectors, and The Angie’s List Super Service Award, JD Grewell & Associates, Inc. is also praised by its past clients for high-quality work and friendly, respectful customer service. Kemp Home Inspections, LLC is a small team of home inspectors with backgrounds in engineering and environmental science. The staff members’ range of specialties qualifies them to conduct a variety of property inspection checks. The business specializes in checking for structural problems as well as allergens, lead, mold, radon, and termite damage. Licensed, insured professionals perform all inspections. Pivotal Inspections, LLC, a Germantown-based company with a small team of licensed, insured inspectors serving clients throughout the D.C. Metro, focuses on helping buyers and sellers make fully informed decisions about their real estate transactions. Prime Property Inspectors, located in Germantown since 1976, is a team of qualified home inspectors operating throughout the D.C. area. The staff at Prime Property Inspectors is exceptionally qualified to test for the presence of radon gas, mold, allergens, toxic organic compounds, electromagnetic fields, and ozone. All inspections are performed by licensed, insured professionals who belong to the Air Quality Association and are certified by the American Council for Accredited Certification and the National Radon Safety Board. Pro-Spex Inc. Home Inspection Services, a Laurel-based home inspections provider, is a team of licensed, insured, experienced professionals providing their services throughout the D.C. Metro community. The business’s specialty inspection services include termite inspections, deck safety inspections, radon inspections, and mold inspections. Pro-Spex Inc. Home Inspection Services has won The Angie’s List Super Service Award multiple times and is a certified member of the International Association of Certified Home Inspectors. Red Oak Home Services LLC has operated locally for more than 15 years. The licensed, insured home inspector has been certified by the International Association of Certified Home Inspectors and has earned the organization’s Radon Tester, Roof Inspector, Exterior Inspector, Indoor Quality Inspector, Deck Inspector, and Moisture Intrusion Inspector certifications. The company works with home buyers and sellers, offers radon testing and mold inspection services, and sends customers a full-color home inspection report within 24 hours. For more than two decades, Residential Equity Management, a home inspections business located in Springfield, has served home buyers, home sellers, and real estate agencies in the D.C. Metro area. The Residential Equity Management team of inspectors has been certified by the American Society of Home Inspectors and the National Radon Safety Board. Square One Home Inspections, a Lorton-based home inspections provider, operates throughout the D.C. area. Its licensed, insured inspection crews are specializing in checking for radon contamination. Square One Home Inspections employs multiple inspectors bearing certification from the International Association of Certified Home Inspectors. Trademaster Home Inspection, LLC is a company that performs Olney home inspections, and property inspections throughout the D.C. Metro. They specialize in inspecting properties on behalf of sellers, buyers, and realtors. Furthermore, Trademaster Home Inspection, LLC partners with Trademaster Remodeling, LLC, a team of general contractors that can perform handyman services and remodels. VA Home Inspect, Inc., a Burke business with a team of licensed, insured inspectors bearing certifications from the American Society of Home Inspectors, was founded in 2005. The company helps home buyers, home sellers, and realtors find potentially hazardous or costly issues. VA Home Inspect, Inc. specializes in finding mold, lead, and radon.